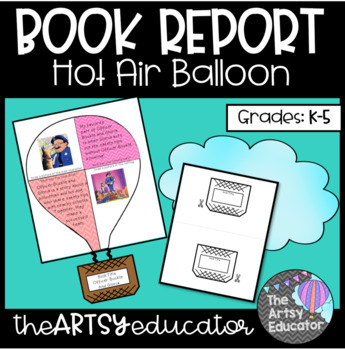 Hot Air Balloon Book Report Spring Craftivity! 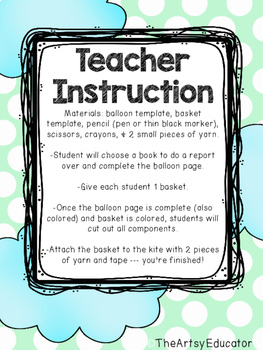 Improve a boring old book report with this hot air balloon craftivity! 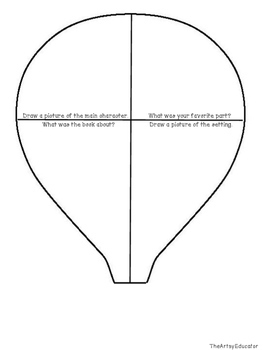 Use this fun activity to collect student ideas about a book they are reading. 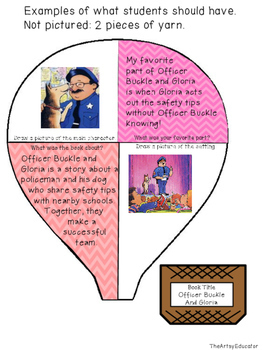 Check out my other book report craftivities! CLICK HERE for my *best seller* kite report craftivity! CLICK HERE for my flower pot report craftivity! CLICK HERE to become a follower of my TPT store for sales and freebies! You can also find me on Instagram @theartsyeducator. Here's how you can get TpT credit on future purchases! Please log in and go to your "My Purchases" page. Next to each purchase you will see a link that says "Provide Feedback". It will take you to a page where you can leave a quick rating and short comment about the product you downloaded. Once you leave feedback, TpT will give you credits that will lower the cost of future purchases.